'Supergirl' Season 3 has had it's mid-season finale! Let's catch up with Kara and the gang to see where we stand! 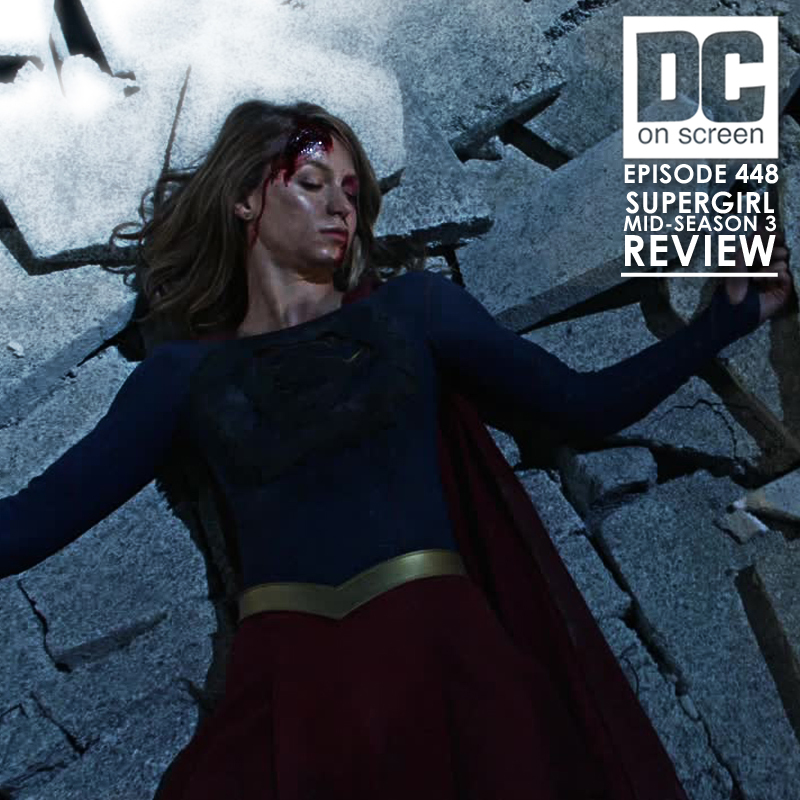 DC on SCREEN #448 - The Worldkiller has arrived, and she's given Kara quite the physical beating to go along with those emotional bruises Mon-El supplied her. But while our favorite Kryptonian heals, we should talk about her 3rd season's adventures thus far and see what we think about James and Lena, Winn's place on the team, the chemistry of J'onn and his father, and the hole Maggie left in the show. So come listen to us wax on Samantha's real super-power: making best friends in just a few weeks, and tell us what you think of 'Supergirl' season 3 so far!